It's almost Valentine's Day, do you have any big plans?? I do NOT. My husband and I just aren't into it as a holiday. I don't really like chocolate and I have just never felt compelled to go all out for it. To be honest I would much rather spend the night in and just hang out. 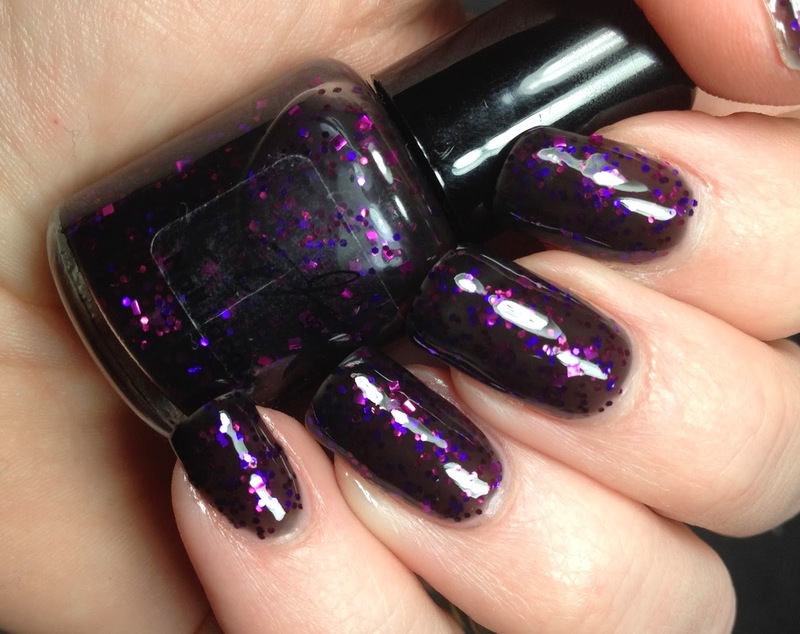 So, for your viewing pleasure today I have one of the polishes that is in the newest collection, Jior Love, from Jior Couture. This collection is for Valentine's Day and consists of 12 polishes perfect for this holiday. The color I was sent for review was called First Love. 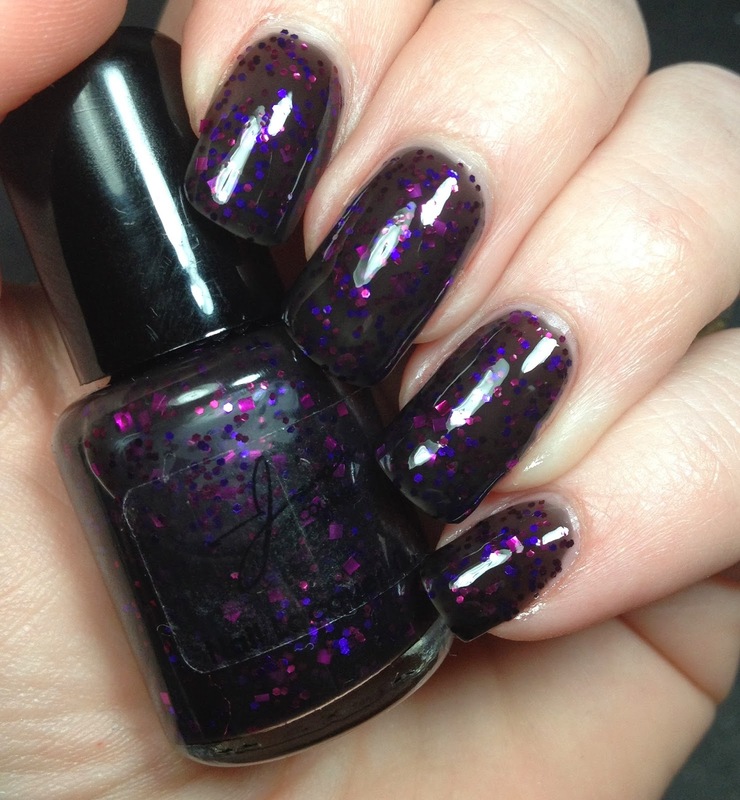 According to Jior Couture, First Love is a black jelly with fuchsia and violet square and hex glitter. Now you could layer this over another color since it is kinda sheer. However, I decided to go all out and just layer it up to opacity. 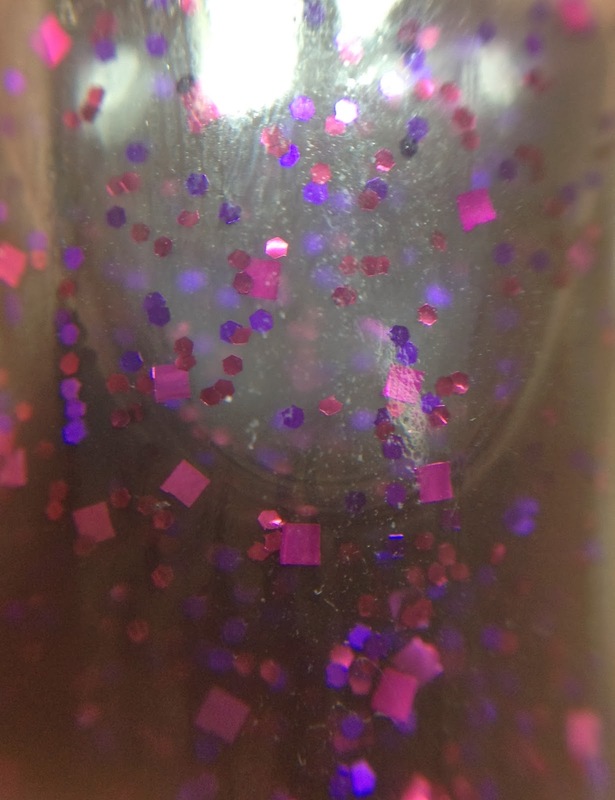 All the pictures shown are three coats. 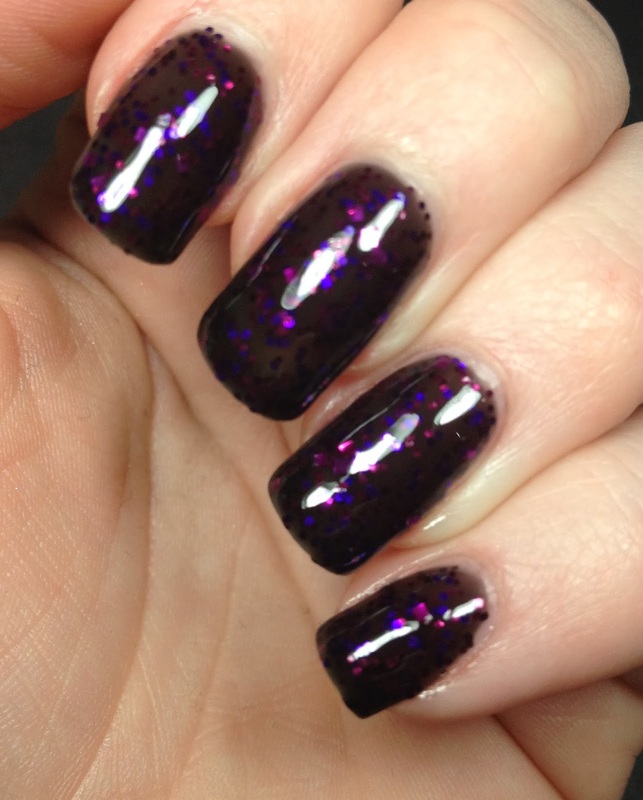 I was also sent Jior Couture's newest topcoat to try out as well. 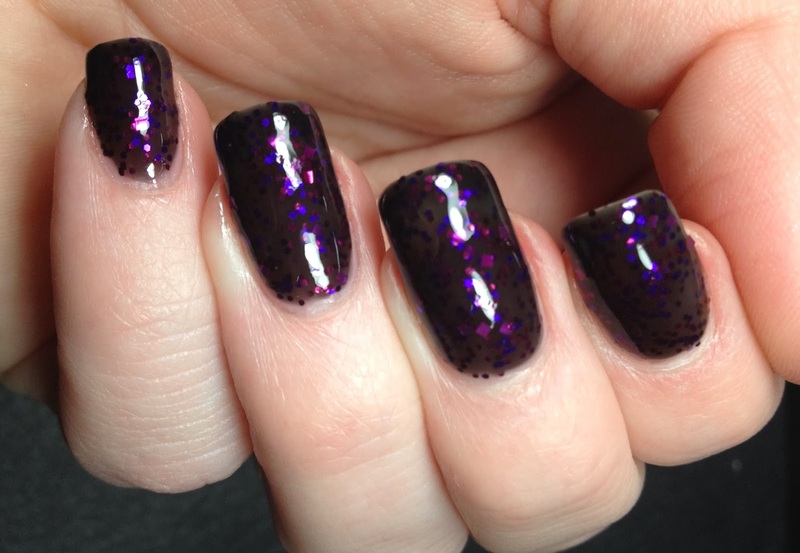 It is a fast dry topcoat and is called Cover Me. I plan on trying this out over many manis so I can do a full review of it later. It did work perfectly for making this a nice and beautifully shiny polish.